Decorate Your Home and Your Head with Happy Hunting! 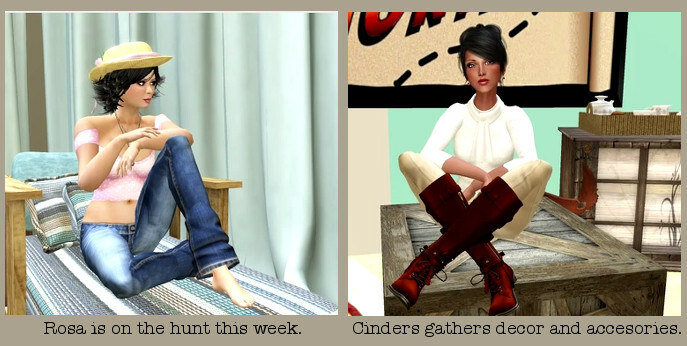 This week Host and Hunt Reporter Cinders Vale brings you hat’s and more hats from the Triple Crown Hat Hunt. Then she gets you ready for a spring cleaning/redecorating spree with goodies from the Pillows & Things store hunt. Previous Post: SL11B Community Celebration is looking for Performers! Next Post: Want to find out information and beat the deadline for SL11B CC applications? Look no further!